Easter eggs, Easter treats, Easter decorations and so much more. DIY Easter treats and decorations don’t have to cost you a fortune. 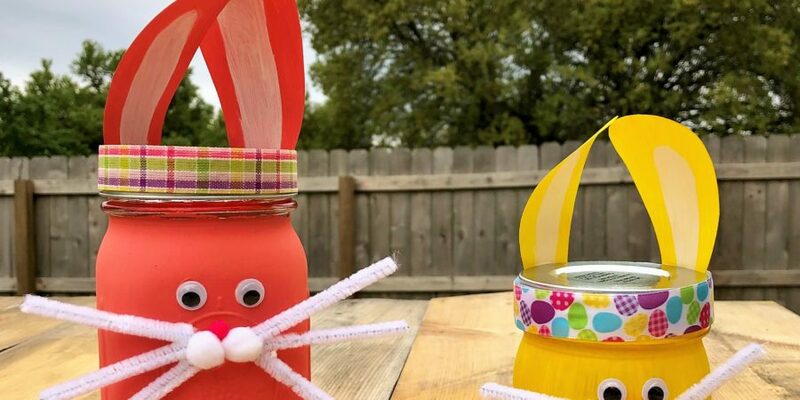 Create your own Easter fun with just a few things from around your home and a few things from your local craft and grocery store. Get the kids involved in all the Easter fun, they will have an amazing time decorating all the eggs, treats and creating fun decorations. 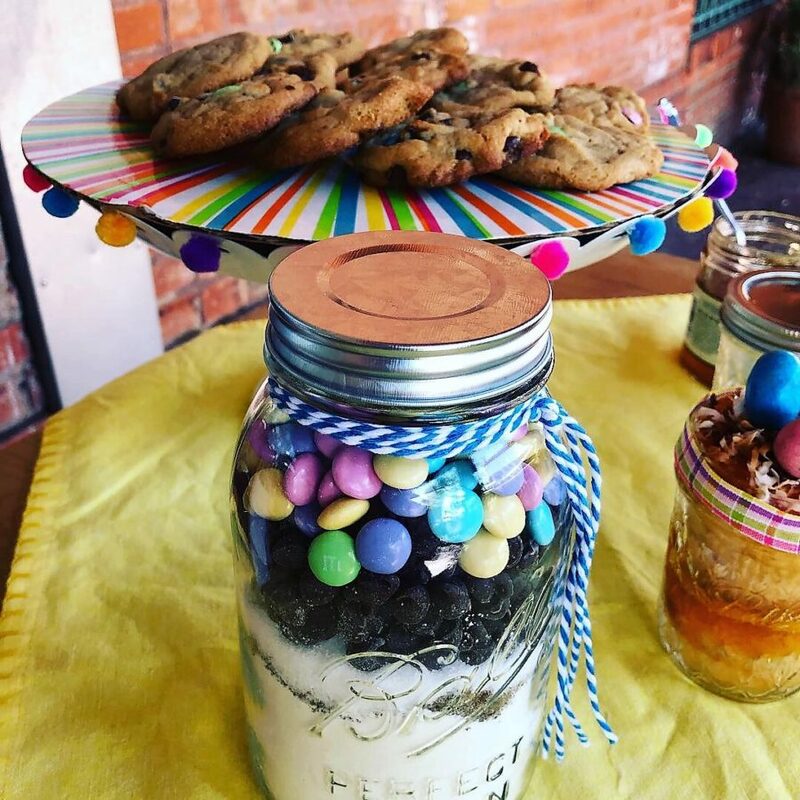 From Cookies, to cakes, to yummy cupcakes in a jar. 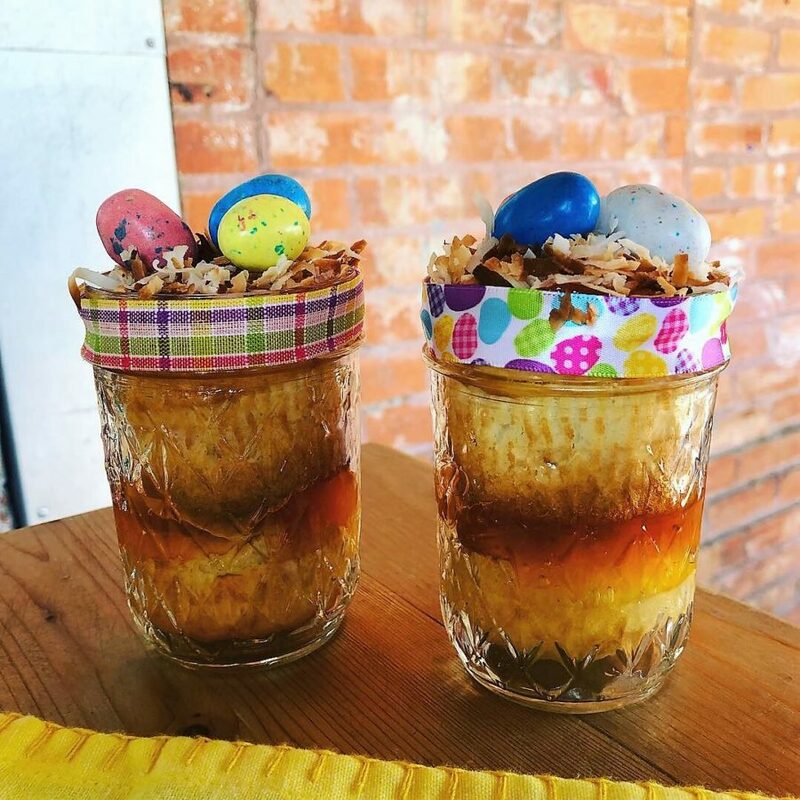 You to can create any of these Easter goodies in your own home and save a bundle by making them yourself. These all make great gifts to give to teachers, neighbors and party hosts. Cream Butter, Oil, Eggs, and Vanilla. Add All Contents Of The Jar. Spoon Onto Greased Cookie Sheet. Bake the cake mix into cupcakes. Place one cupcake (out of wrapper) into the bottom of a Ball Jar. Add 2 tablespoons of jelly on top of the cupcake. Put another cupcake on top. Spoon 2 more tablespoons of jelly on top of the cupcake. Spread toasted Coconut (to make this, see below). Add a couple malt chocolate eggs on top. 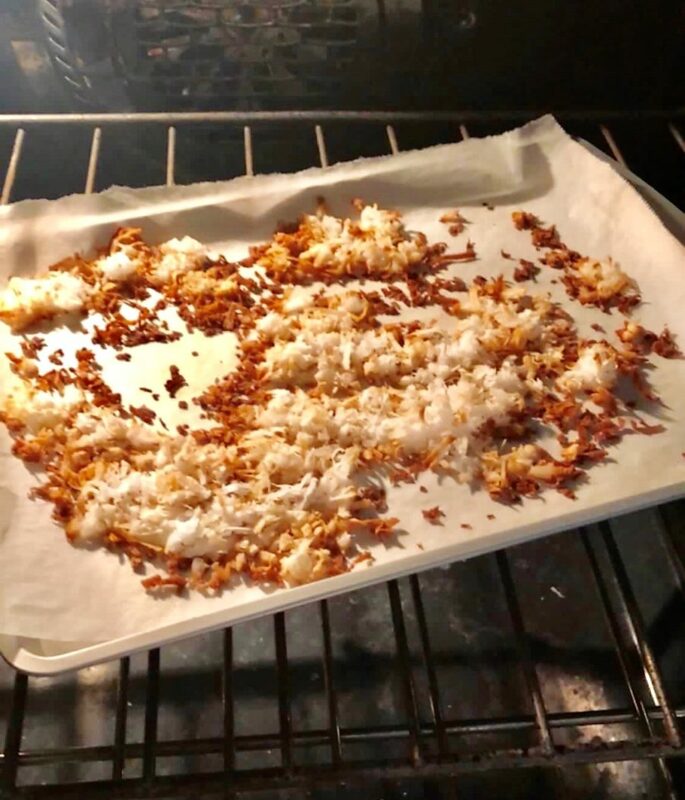 Spread coconut on a piece of parchment paper placed onto a cookie sheet. Cook at 350 degrees for 3 minutes. Turn and stir the coconut and cook for an additional 3 minutes, checking to make sure it isn’t burning. This is such a fun craft to do with the kids, and to give as gifts. Everyone will have their own bunny for Easter. Paint the Ball Jars in the different colors you choose. Be sure to paint at least 2 – 3 coats, letting them dry 10 minutes in between. create the ears out of the card stock. Paint the ears the same color as the Ball Jars. Measure and cut the pipe cleaners into whiskers. Using the stickers, write out the name of each person. Stick the wiggle eyes to the front of the jar with craft glue. Glue the pink nose and the white pom pom cheeks under the eyes. Add the whiskers onto the jar, 3 on each side of the cheeks. Place the ears to the Ball Jar lid. Cut and glue a piece of ribbon around the lid of the Ball Jar. 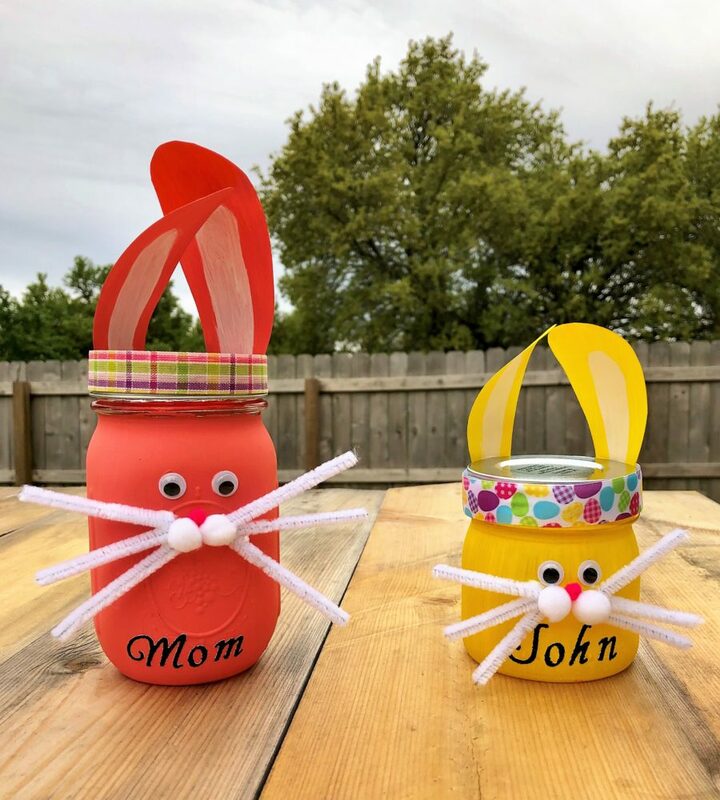 Fill the Bunny Jar with candy. Hot glue the styrofoam ball to the lid of the Ball Jar. Next, hot glue the large pom pom to the back of the Ball Jar. Cut ears out of the felt and paint the middle of the ear with the pink paint. Hot glue the ears to the back of the bunny head. Using the craft glue, stick the wiggle eyes the head, and then the pink nose and white pom pom cheeks. Cut the pipe cleaners into 1″ whiskers and hot glue them to the pom pom cheeks. 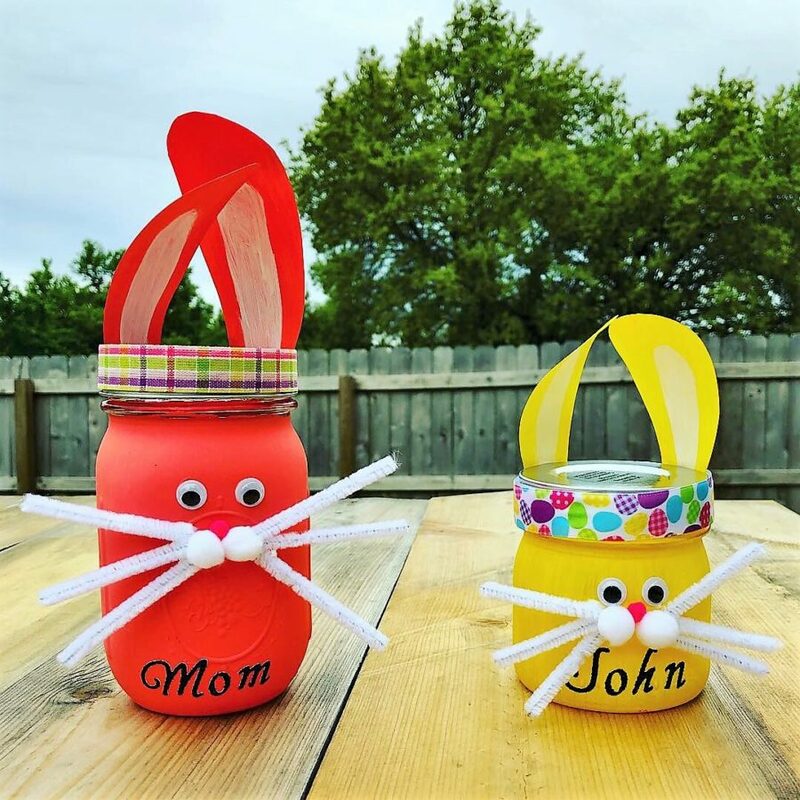 Glue the Easter ribbon around the lid of the Ball Jar. 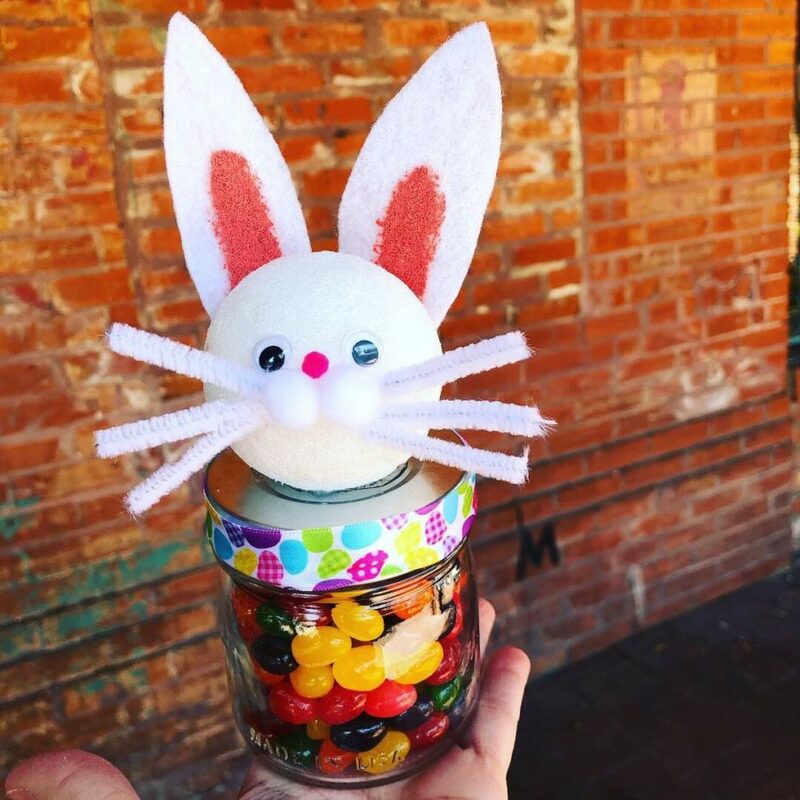 Fill the Bunny Jar with some Easter candy.